The Olympics, Russian Doping, And Our Cheating Hearts. . . .
Last night Olympic officials announced that 271 Russian athletes will be allowed to compete in this year’s Olympic Games in Rio. 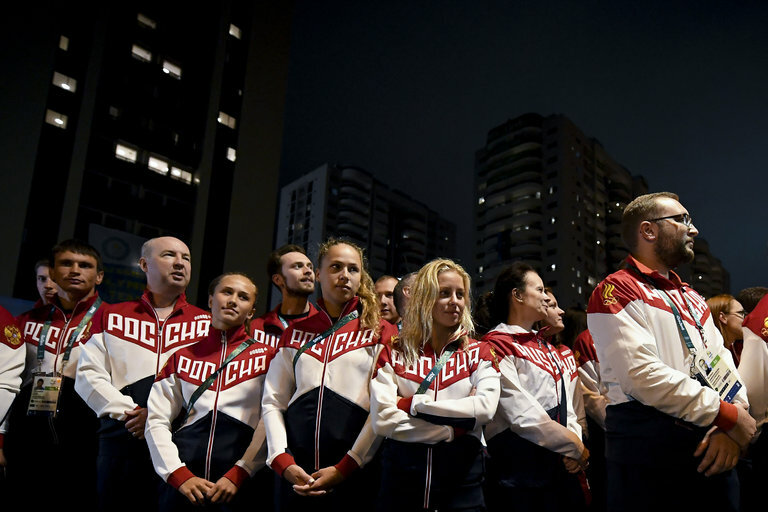 This means that one-third of Russia’s Olympic athletes will not be competing in the games thanks to a government-sanctioned doping program that in effect, is all about cheating (remember Lance Armstrong??). Somehow, the virtues of honesty, integrity, and fairness have diminished in the world of athletics at all levels, from the athletes on the field, to the coaches on the sidelines, to the parents/fans in the stands. This is not only a result of our diminished commitment to doing what’s right, to our increased commitment to using any means to reach the desired ends. It’s quite sad. . . but not really anything new. With the opening ceremony for the Olympic Games set for later today, I was thinking back over some of the related stories regarding athletes and doing-whatever’s-necessary-to-get-an-edge that I’ve tracked with over the years. 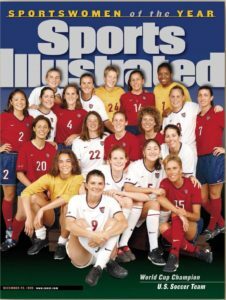 While it seems like only yesterday, it was actually in the last millennium that U.S. Women’s soccer team appeared together on the cover of Sports Illustrated after being named “1999 Sportswomen of the Year.” And yes, on July 10 1999, I was one of 44 million American television viewers on the edge of my seat watching them try to win the World Cup against the team from China. Do you remember the controversy? After the game ended in a scoreless tie, it all came down to a shoot-out. Some say the key play that won it for the U.S. was the amazing diving save by goalkeeper Briana Scurry on Liu Ying’s shot. Like millions of others, I got caught up in the moment and jumped out of my seat with a “thrill of victory” yell. It was exciting! But for me, the thrill of the U.S. team’s amazing victory quickly subsided when Briana Scurry openly admitted her decision to increase her chances to make the save by ignoring the rules regarding penalty kicks. Just as her opponent approached the ball, Scurry took two quick steps forward to cut down Ying’s angle on the goal. The tactic worked as Scurry was then able to dive to her left to tip the shot wide of the goal. Even though the referee didn’t catch the foul, Scurry had violated the rule that allows goalkeepers to only move laterally, not forward, before a kick. In the days and weeks that followed, sports fans, columnists, and talk show hosts debated whether or not Scurry had in fact “cheated.” I was distressed by Scurry’s comments on the incident. “If I jump out and save it, but the referee calls it back, they have to do it again,” she told Sports Illustrated. Scurry further justified her action to The Los Angeles Times: “Everybody does it. It’s only cheating if you get caught.” But even more distressing is our culture’s willingness to celebrate the “victory,” look the other way, and ask “What’s the big deal?” Yes, we live in a culture where the end does justify the means. I’m not singling out Briana Scurry to pick on her. She isn’t alone. Her action, her justification, and our response are just one example of something bigger that’s made its way into every corner of our culture. Our kids don’t have to look at their World Cup heroes to get the message that “everybody’s doing it and it’s only cheating if you get caught.” Cheating is everywhere. Recent studies indicate that we are, in fact, raising a nation of cheaters. A 2012 survey of almost 23,000 students by the Josephson Institute of Ethics, found that 51 percent of high school students admitted to cheating in the previous 12 months. When they get to college, we are told by The Center for Academic Integrity that about 68 percent of undergraduate students surveyed admit to cheating on a test or written work. percent will resort to cheating on tests. In addition, 43 percent of graduate students do the same. The Center for Academic Integrity is reporting that “cheating is omnipresent in American higher education.” Cheating has gotten so bad that professors and teachers are using software to electronically check students’ papers. Other reports find that students at all levels are going high-tech to cheat, using hidden cameras, smartphones, and programmed calculators. But someof the most alarming reports on cheating come out of school districts where educators (including some principals) provide their elementary school students with answers and help on standardized tests, all in an effort to boost scores and make their school appear more successful. How is it that our culture’s collective heart is marked by acceptance of a behavior which the dictionary defines with the words deceive, defraud, violate, mislead, dupe, and delude? And why are our emerging generations so quick to assimilate cheating into their lives with little or no thought? Second, they’ve lived with and watched the examples of adult cheaters. For some, they’ve grown up in homes where mom and dad cut ethical corners on the “little” things – for instance, telling a “white” lie. For others, life in our media-saturated world means that they can’t help but see leaders, heros, and role models who stretch the truth or engage in deception – usually without conscience or consequence. Third, kids are growing up in a world where matters of right and wrong are determined personally on a case-by-case basis. If it “makes me feel good” or “get ahead,” then it’s “right.” This moral climate is perfect for growing new rules of morality where the chasm’s growing wider between what we say we believe with our lips, and what we show we believe through our actions. And finally, kids say cheating is unavoidable and even necessary in a world where the pressure to succeed is enough to make them crack. Too many are growing up in homes where they perceive their value and worth in mom and dad’s eyes to hinge on the grades they bring home from school, the trophies that line their shelves, and the accolades of all sorts that parents can proudly post on social media. Competition for grades, the race to get into a good college, pressure from instructors/coaches, large workload, and juggling a heavy schedule of activities all figure into the picture as well. In this kind of world, cheating is incredibly easy to justify and very difficult to resist. 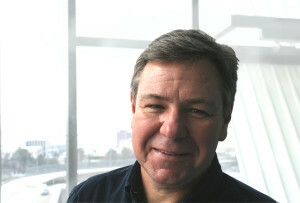 Yale University’s Stephen Carter, author of a book on integrity, says that “we adults are establishing a climate in which we show through our behavior and through what we emphasize that the thing that matters most is me, myself, (and) getting ahead. . . . what they (our children) learn is that the key to being a successful adult is making sure that nothing like a mere law or moral principle gets in the way of getting what they want” (MSNBC). As parents, pastors, youth workers, and educators, we can play a powerful role in leading our kids and our culture back to Godly standards, where any kind of cheating or deception is seen as nothing less than wrong. Our words and example can and must combine to send a loud statement affirming the timeless and unchanging truth that cheating is always wrong. That’s a message we need to repeat over and over in our world today. You see, cheating is always cheating – even if you think you won’t get caught. ← What If We Let Our Kids Just Play? . . . .